Philip José Farmer was born in 1918, in North Terre Haute, Indiana. A part-time student at Bradley University, he gained a BA in english in 1950. Two years later, he shocked the SF world and became famous with the publication of his novella, "The Lovers", in Startling Stories. This story, that deals with the attraction of a man for an alien insectoid female, created a scandal at the time it was published, for it was the first time eroticism was introduced in Science-Fiction. But it won him a Hugo award in 1953. His second Hugo came in 1968 for the story "Riders of the purple Wage", written for Harlan Ellison's famous Dangerous Visions series. And the third came in 1972 for the first part of the acclaimed "Riverworld" series, "To your scattered bodies go". Riverworld is indeed Farmer's most famous series to date. Second rank in popularity comes the "World of Tiers" series, upon which Thoan RolePlaying Game (RPG) is based. In his novels, Farmer often deals with his most obsessive topics : religion, alien beings, sexuality, death and immortality. Farmer's heroes, just like Edgar Rice Burroughs' or Joseph Campbell's, are very brave, ready to go through bad times, in very exotic places, to fulfill a personal enriching quest. Adventure always plays a great role in the writer's novels, the climax of adventure being found in the "World of Tiers" saga. Today, Farmer is a best-selling author in the United States and abroad, considered as one of the last great writers from the Golden Age of Science-Fiction. Leslie Fiedler, an eminent critic, has written that Farmer "has an imagination capable of being kindled by the irredeemable mystery of the universe and of the soul, and in turn able to kindle the imagination of others - readers who for a couple of generations have been turning to science fiction to keep wonder and ecstasy alive." Many of Farmer's peers, such as Roger Zelazny, Theodore Sturgeon or Piers Anthony, don't hide their admiration for a man whose works very often inspired them. 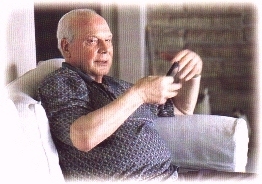 Philip José Farmer lives and works in Peoria, Illinois.